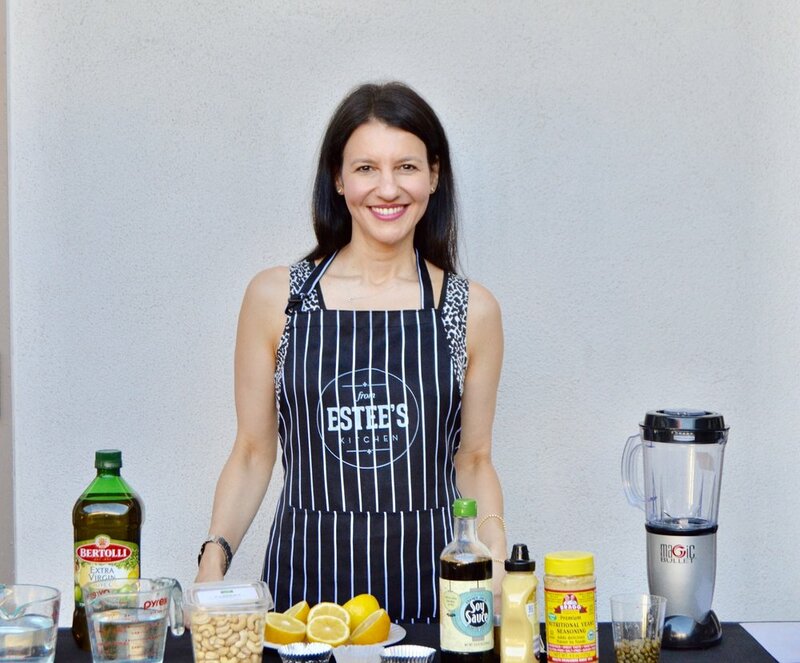 Estee offers Team building events and cooking classes as well as motivating speaking and cooking demos. Class size may vary according to space and location. Team building events are a great way to connect and to keep your employees engaged through a fun, nourishing activity. Learn healthy life-style skills in groups while people enjoy the atmosphere, the food, and the learning all at the same time. Estee inspires new chefs in ways that people won't stop talking about for weeks. Cooking classes are a hit. Estee's classes are hands on, with lots of laughter and amazing food. She offers great classes for beginners as well as for advanced cooks. Estee is fun, easy-going, and knowledgable. Hear about her personal journey to a plant-based diet, with great tips and tricks, ideas for meal plans, and an exposure to new ingredients and techniques. Estee will share her exiting journey and fascinating stories about going vegan and how it improved her well-being. Gain inspiration for a healthy, ethical lifestyle through a captivating and educational presentation. Ask the questions about vegan cooking that you have always wanted to ask. Book signing at the end.